Note: If you use the white crème de cacao, use 6 oz of chocolate vodka. Slice the limes lengthwise. Using a spoon, scoop out the pulp all the way to the pith without breaking the rind. Place all the lime peels on a muffin pan or on 2 oz. plastic cups to keep them upright. 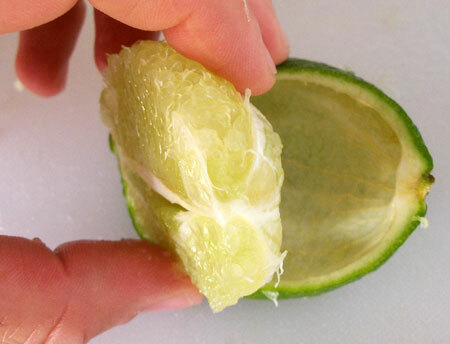 Note: You may use a paring knife around the edges of the limes to loosen the pulp from the rind. Boil one cup of water. 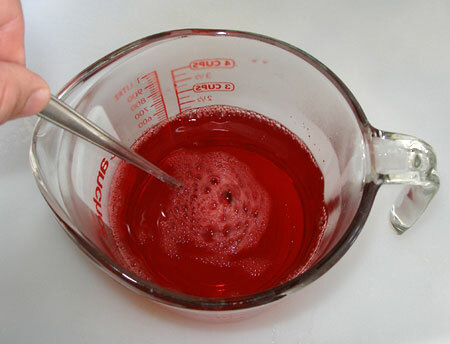 Place the gelatin mix in a bowl and add the boiling water. Stir well until the gelatin dissolves completely. Add the cup of chocolate vodka and white crème de cacao. Stir well. Note: Use 1 cup of chocolate vodka or 6 oz. of chocolate vodka with 2 oz. of white crème de cacao. 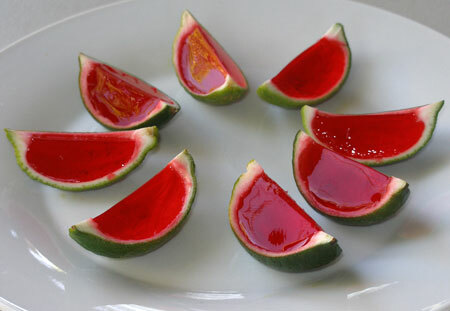 Fill the lime halves all the way to the top with the chocolate strawberry or chocolate cherry gelatin. Place the muffin pan or the plastic cups in the refrigerator. 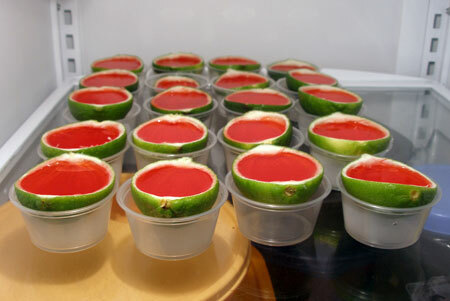 Refrigerate for at least four hours or until firm. Remove the lime halves from the refrigerator. 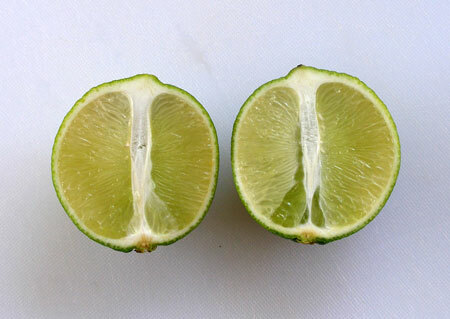 Using a sharp knife, slice the lime halves in half. 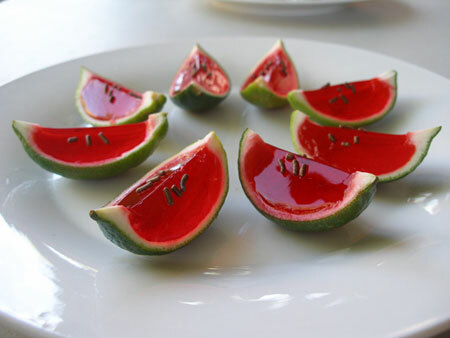 Add chocolate sprinkles to make the limes look like mini watermelon wedges.